No need to worry about a loud helicopter ride thanks to the incredible new American Eurocopter ECO-Star, which reduces overflight noise by approximately 50%. This state-of-the-art marvel also gives you 23% more interior room. Join us on a truly first-class ECO Adventure over the Garden Isle of Kauai. With our many amenities such as: Individual Business Class seats, two-way communication with your pilot, and expansive glass for outstanding sweeping views of Kauai’s incomparable natural beauty you’ll be sure to take in the breath taking views on Kauai. We include many spectacular sights on your in flight ride. Beginning with a flight to spectacular Hanapepe Valley, then continues on to Mana Waiapuna, commonly referred to as “Jurassic Park Falls.” Next up and away to Olokele Canyon before moving on to eye-popping Waimea Canyon, the famed “Grand Canyon of the Pacific.” Then, the sculptural masterpiece of the Na Pali Coast gives way to the Bali Hai Cliffs, and the pristine blue waters of Hanalei Bay and the Princeville Resort area. Weather permitting, the crowning glory of the Garden Isle: Mt Waialeale, the wettest spot on earth, with an average rainfall of 450-500 inches annually! Flying into the center of the crater with its 5000-foot walls towering above and its 3000-foot waterfalls surrounding you, is a truly awe-inspiring finish to your ECO Adventure over the Garden Isle. How can you miss out on something so AMAZING!! 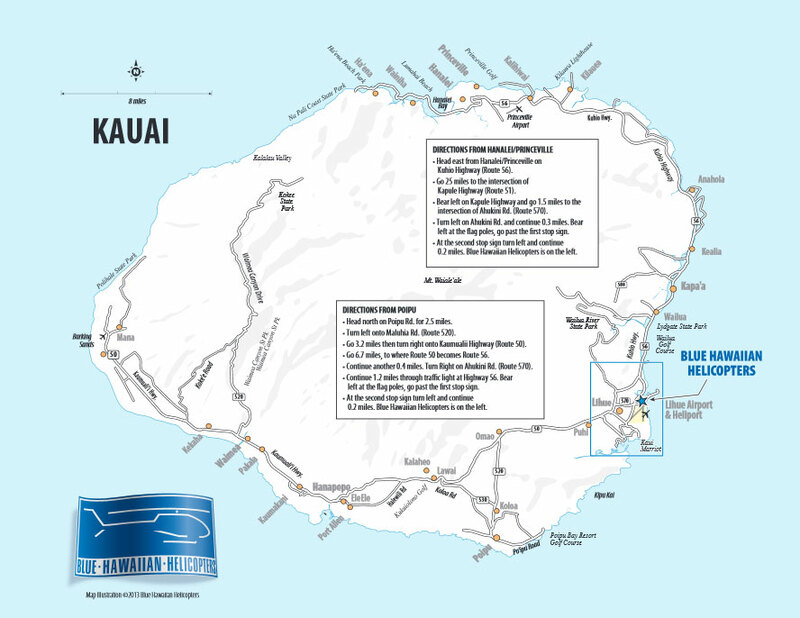 Let Blue Hawaii take you on the helicopter ride of your dreams!